With its stained glass and white floors, this is a great setting for your nuptials! 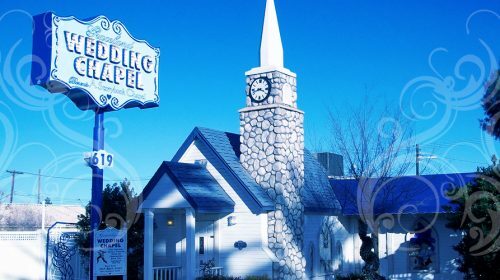 At a Wedding Chapel in Las Vegas, you can pick from a variety of useful packages that can include everything from a video of your wedding to live webcam broadcast. And of course for a small fee you can still have Elvis sing! It is Las Vegas, after all! 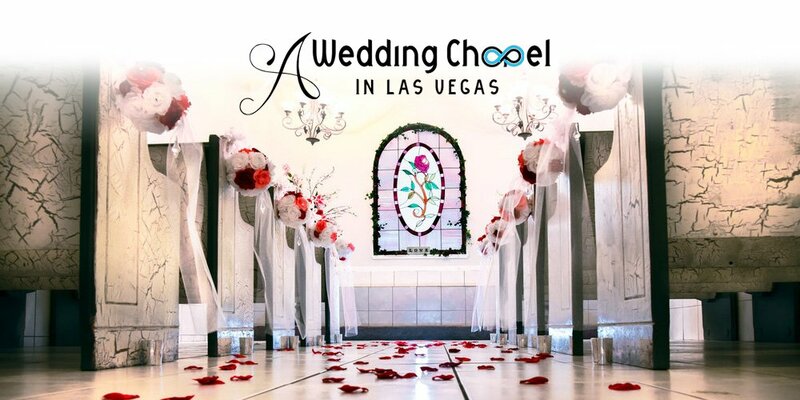 We have created a reputation for ourselves over the past 50 years when it comes to specializing in traditional Las Vegas ceremonies and weddings. Our main goal is to make sure that your most special of days is one that is filled with pure joy excellence, love and excellence. Whether you are seeking a traditional and simple ceremony or something that is a bit more dynamic, couples will always remain number one with us and we are proud to guarantee complete customer satisfaction if you entrust us with your special day. Since there are numerous options to choose from when it comes to deciding on the location of your Las Vegas wedding, we are well aware of how overwhelming the wedding day process can be for couples. That’s why you should take a step back and allow our knowledgeable wedding coordinators to help you with your wedding choice. We have the resources and experience to assist you in making a truly informed choice with your Las Vegas wedding package. With so many other issues to address prior to your big day, why not allow us to help you today? 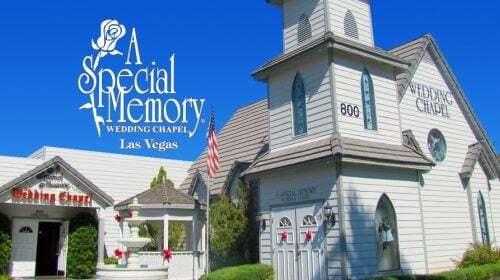 Couples who choose our chapel never feel rushed and from the first moment that you contact us for your Las Vegas wedding planning needs, you are able to ask us any questions that you may have about the process. Have you ever dreamed of being whisked away in a private limousine when it is time for your honeymoon? We have the packages to accommodate any mood or desire and we schedule each package with the idea of providing more than enough time to fulfill every whim that you may have. Our photography is second to none and we only work with the cream of the crop in Las Vegas. Best of all, our wedding ministers will provide you with an amazing Las Vegas ceremony….your way.